As a Woman of Color, inclusion matters very much to me. As a consumer, I am very observant of whether or not businesses or companies include diverse images in their media and advertising. As a business, I enjoy seeing other people of color included to represent products or services. Inclusion, or lack thereof, often affects my decisions to purchase products or services. As a person of color who has had to deal with adversity, prejudice, and racism throughout my life, this action, seeking diversity and inclusion, is deeply rooted in my being. I can describe the feeling as a sense of pride, appreciation and a feeling of belonging. I want to go where I feel welcome! Several years ago when I started creating social media and blog post images for former employers I would scour the internet looking for royalty free photos that would feature men and women of different races and ethnicities in administrative, office and tech settings. It was often so very hard to do and I even committed sacrilege a few times using images that were not free stock photos, gasp! 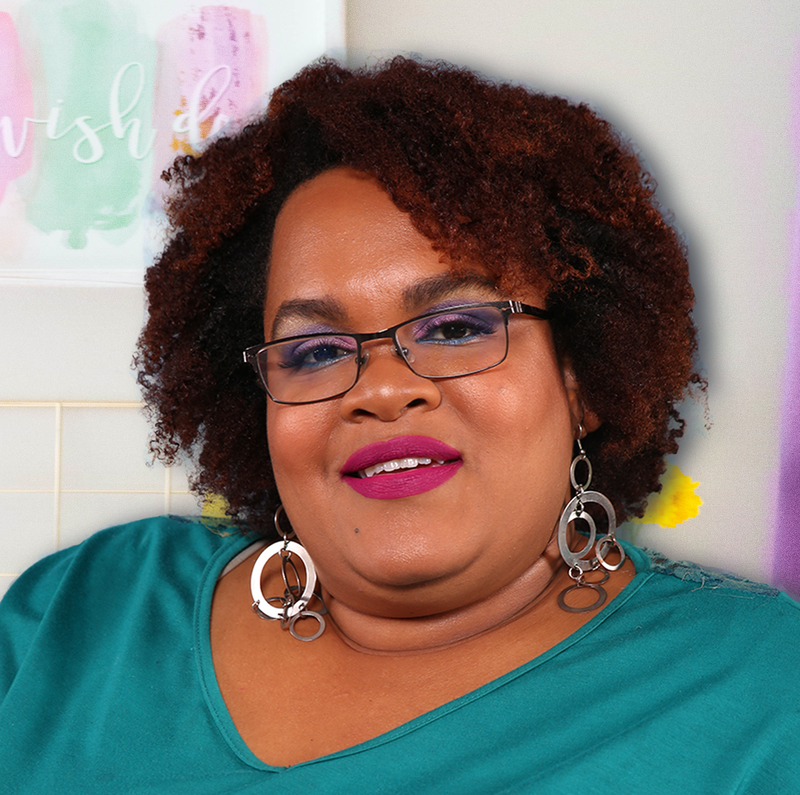 One day, after I launched my own Virtual Assistant business, I was browsing through the Online Business BFFs Facebook Group (now closed) when I saw a post from Jasmine Hunt sharing about her newly launched styled stock photo business. "Finally", I thought to myself, "here was someone offering great stock photos full of femininity, color, personality, and a beautiful brown skin tone." I signed up right away and upon receiving my first delivery of stock photos I was inspired anew to find ways to use Jasmine's stock photos in almost everything I was designing for myself. Jasmine's stock photography gave my designs a fresh new professional quality and even better I didn't have to break the bank to become a member. Jasmine has since rebranded her stock photography business into what is now She Bold Stock. At $20 a month or $180 when you pay annually, which comes out to $15 a month, it doesn't cost much at all. Even if you already subscribe to other stock photo services, you can use the She Bold Stock styled stock images to supplement when you are in need of specific images that you just can't find anywhere else. What's also so great about the membership is that you get over 75 styled stock photos every month and discounts to custom stock photography services. I usually download each month's new stock photo collections and sync them directly to my Google File Stream so whenever I want a specific image, even on my phone I can easily access the entire library. "But Rendesia, how is the image quality?" you ask. The images are fairly large at 5472x3648 pixels with a resolution of 300 DPI. There are even vertical and horizontal images perfect for different social media platforms criteria. On top of all that the membership also includes square photographs configured especially for Instagram with vivid colors that you can easily customize with your logo, hashtag or other branding elements. Whew...so much going on! If you are looking for more diverse stock photos to use for your website or if you are just looking for fresh, vivid, colorful and unique images for your blog posts and social media graphics, at a great price, the She Bold Stock Styled Stock Membership is perfect for you. 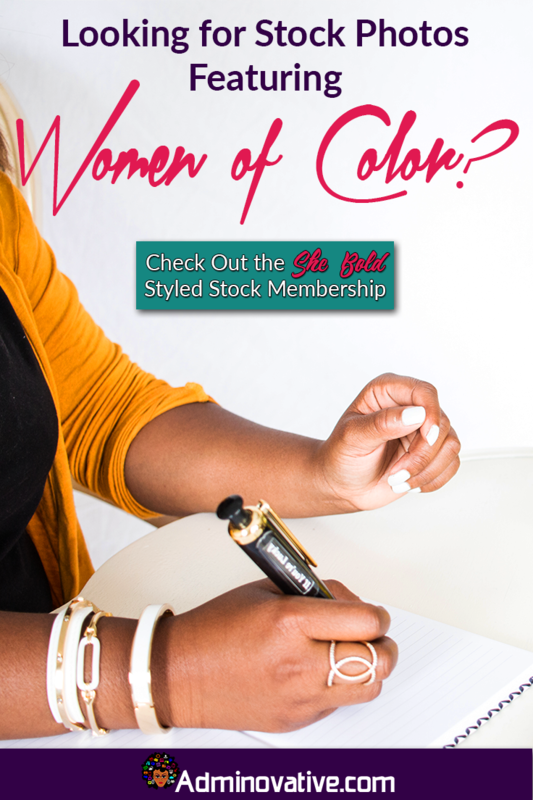 Check out the She Bold Stock Styled Stock Membership today. You won't be disappointed! How do you feel about inclusion and diversity as a consumer and as a business owner? Have you already joined the She Bold Stock Styled Stock Membership? Feel free to share a sample of your work with a featured She Bold Stock image below!